*Inscription on bronze tablet, rendered by Mrs. Julia Bracken Wendt, and presented to the Chicago Historical Society by Mrs. Hubbard shortly before her death in 1909. Giant oak trees frame Gurdon Hubbard’s portrait, in bas-relief. Perhaps these oak trees suggest the very day when a young Gurdon Hubbard first arrived in the Prairie State. Oak trees can also be read as a symbol of strength and endurance. 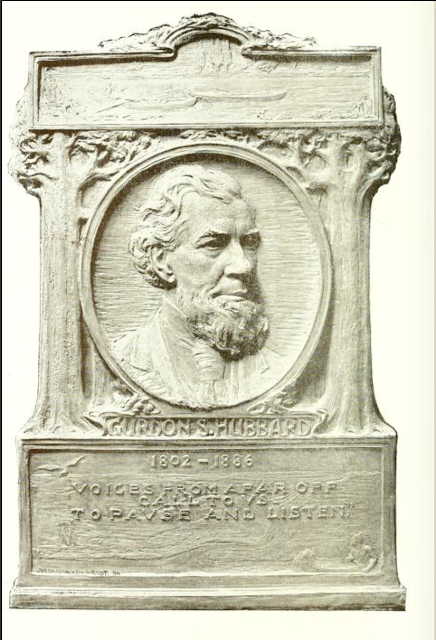 Illinois’ Bicentennial celebration can be launched with the history of one man: Gurdon Saltonstall Hubbard, born 1802 in Vermont and buried 1886 in Graceland Cemetery. 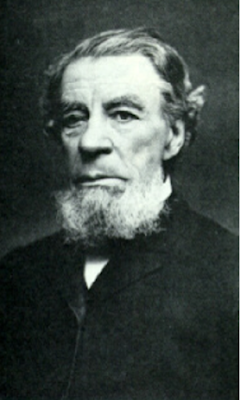 Gurdon Hubbard first arrived in Chicago on October 1, 1818; the year Illinois became a state. He was sixteen and newly employed as a clerk for the American Fur Company, owned by John Jacob Astor. In reading Hubbard’s life story, we can envision Chicago and Illinois in their youth and more fully comprehend their transformations, from settlement and frontier to great metropolis and flourishing state. From our 2018 vantage, it is both difficult and enchanting to imagine Gurdon’s many thrilling adventures: viewing the untouched prairie; portaging Mud Lake; visiting the American Bottom; trading furs with Indians; forging trails in the wilderness; purveying as pioneer meat packer, plus an impressive number of other commercial and civic pursuits. 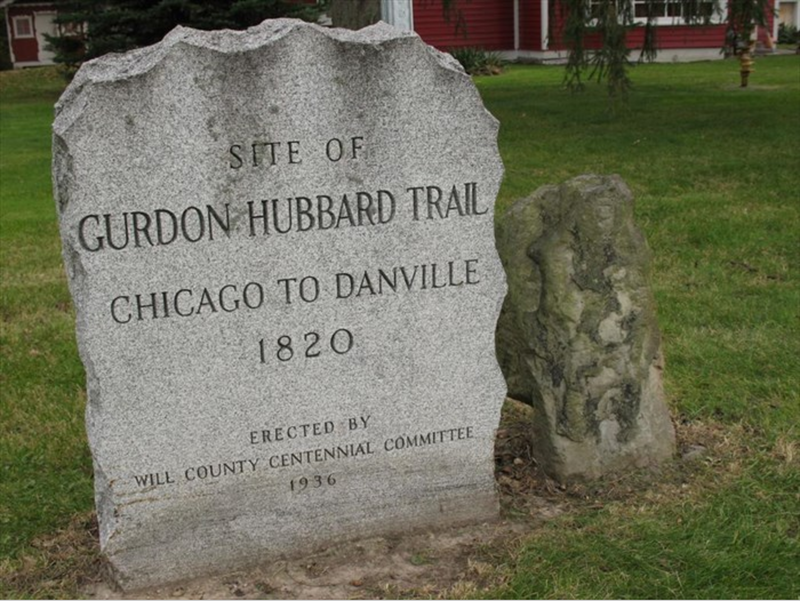 Less known, yet particularly consequential to Illinois, is the role Hubbard played in the building of the Illinois Michigan Canal. 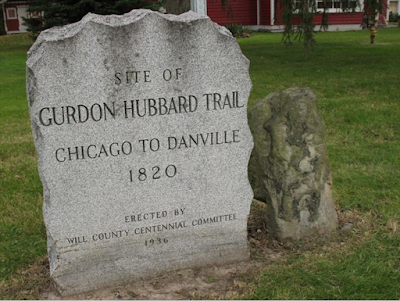 As a representative in the 1832-33 Illinois General Assembly in Vandalia, Hubbard introduced a bill for the construction of the Illinois Michigan Canal, which was ultimately defeated. At every meeting of the legislature thereafter, he continued to urge passage of the canal bill until it successfully passed in the session of 1835-36. 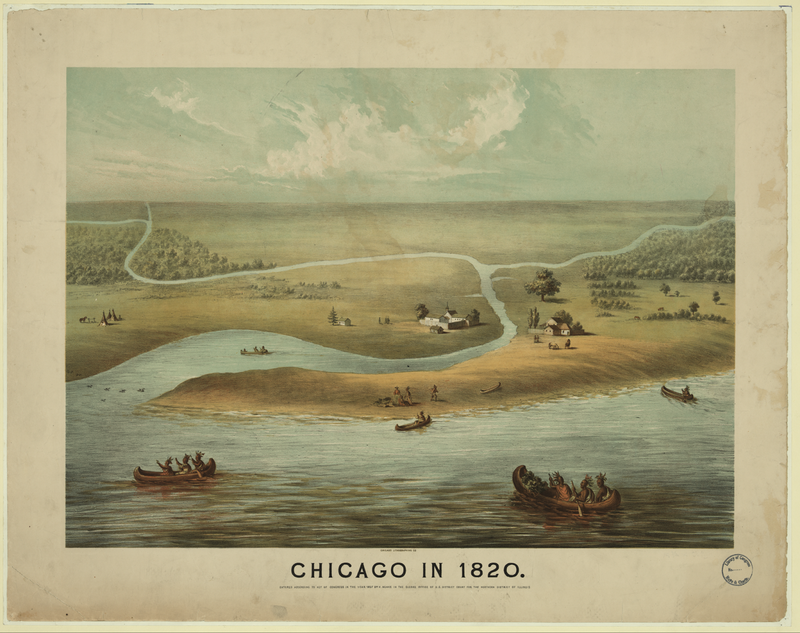 “After hearing the arguments upon this point, Mr. Hubbard took a map and called the attention of the members to the fact that the mouth of the Calumet River is within a few hundred yards of the Indiana state line, and suggested that it was expected that wherever the canal terminated a great city would grow up, and pertinently asked whether it was desirable that the coming city, at the terminus of the canal, should be as much of it in the State of Indiana as in Illinois, when the entire expense of constructing the canal would devolve upon Illinois. This practical business view of the question settled it, and the mouth of the Chicago was made the terminus instead of the mouth of the Calumet. 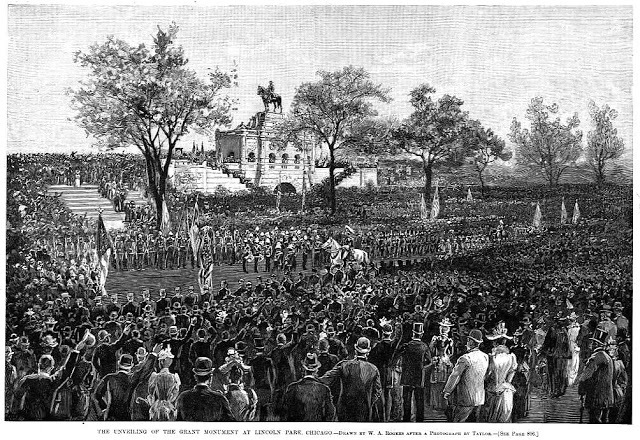 When digging the canal ceremoniously commenced July 4, 1836, Gurdon Hubbard spade up one of the first shovelfuls of earth. Memorials to Hubbard are few. In downtown Chicago, we have the portrait tablet at the Chicago History Museum as well as Hubbard Street. * When “Hubbard’s Trail” became the basis for the first state road, today State Route 1, historical markers were placed to commemorate its history. 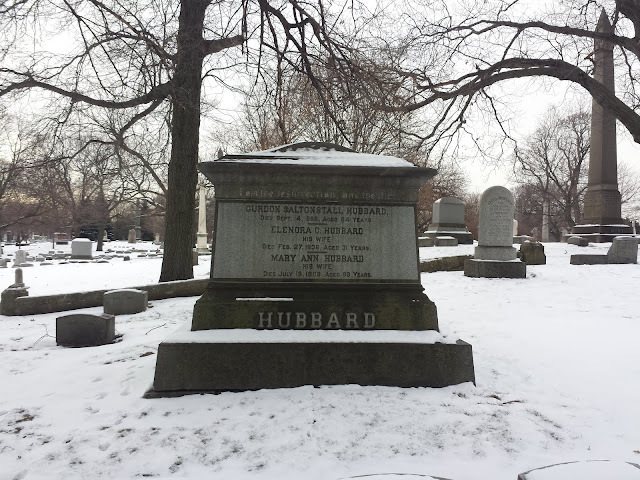 On Chicago’s north side, we have Hubbard’s tomb in Graceland Cemetery, Section D, Lot 50. Hamilton, Henry Raymond. The Epic of Chicago, Chicago: Willett, Clark & Co., 1932. [ii] Hubbard, The Autobiography, 142. [iii] Hamilton, The Epic of Chicago, 346-347. [iv] Hubbard, The Autobiography, x. * I’m assuming the tablet is still in the museum’s collection. I have submitted an inquiry via email, however it may take several weeks to receive an answer. 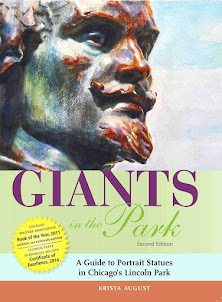 By Krista August, author of Giants in the Park: A Guide to Portrait Statues in Chicago’s Lincoln Park.